On today’s Flash Back Friday, we flash to our 5th episode, featuring Matthew Stein. Americans lives are filled with extravagant things like computers, refrigerators, washer and dryers, iPhones, electric lights, etc. They’re ingrained in our lives to the point where we hardly even notice them anymore. As Jason has stated, “Thou shalt practice the primitive annually – be able to sustain life without current technological advances.” The ability to disconnect is incredibly important to people who have come to rely on modern technology for most (or all) of their daily activities. 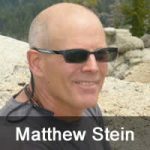 Matthew Stein, author of When Technology Fails, talks with Jason about this book that touches on sustainable living skills and how you can survive if technology disappeared. Stein has appeared on numerous radio and television programs, and is a repeat guest on Fox News, Lionel, Coast-to-Coast AM, and the Thom Hartmann Show. He has also written several articles on the subject of sustainable living and is a guest columnist for the Huffington Post.